Family Office Insights sits down with William Crowder, Founding & General Partner of 42 Venture Partners to discuss his seed stage venture capital firm focused on investing in products and technologies that transform the way we live. Tell us about your background and your venture capital firm, 42VP. I have been a management consultant and business development guy for many years. After getting my M.B.A. from the Fuqua School of Business at Duke University, I started my career strategizing and consulting for large corporations and investment firms. From 2004-2008, I led strategic efforts with an internal consulting group at AOL and among many things, helped AOL transition its business model away from providing Internet access and towards online advertising. For those that remember receiving America Online CDs in the mail every week, I was part of the team that convinced them to stop. After AOL, I founded a consulting and business development firm of my own, advising traditional media companies on strategies to help transform their business models. I relocated from New York City to Philadelphia in 2009 and was subsequently connected with the startup world. Comcast and its venture arm, Comcast Ventures, initially approached me to lead an initiative focused on investing in pre-seed stage startups led by diverse entrepreneurs (e.g. African American and Hispanic founders). The partnership was launched alongside Philadelphia-based Dreamit Ventures, a pre-seed venture firm and start-up accelerator. I became a partner at Dreamit and over the course of 4 years we provided funding, guidance, and support to over 35 minority-led companies from around the country. While at Dreamit, Comcast Ventures also approached me about leading its Catalyst Fund, a $20M fund designed to invest in diverse entrepreneurs at the seed stage and beyond. Over my 5-year stint, I oversaw its investment in over 75 companies and worked with some of the most amazing entrepreneurs in the country. The fund was formed to address the funding gap that has evolved in the venture capital industry for diverse entrepreneurs. My epiphany for launching a fund of my own was the result of a two-year experience advising a computer vision startup. I met founder of the company in 2014 and convinced Comcast and others to invest. The company was bringing new technology to the staid replacement parts industry. After working in the industry, the founder recognized there was an opportunity to make it more efficient and recruited engineers from Georgia Tech that would eventually make it possible for a smart phone to recognize machined parts in need of replacement and determine all of information necessary to reorder more while at the site of repair. It took nearly 18 months to raise $1.5M for a startup based in the southern US. If the company had been located in Silicon Valley with engineers from Stanford they would have likely raised that amount of capital in a matter of weeks, if not days. As I watched their story unfold, I realized that there were several hurdles that applied to this company that did not apply to others. Their HQ location was an issue for some investors and others didn’t believe in the abilities of this mostly female founding team. Late last year, the company was acquired by a publicly traded company and in many ways made history along the way. My most significant takeaway from this experience was that the venture industry’s operating norms have created blind spots in its field of vision when it comes to making new investments. These blind spots have made it difficult for entrepreneurs from non-traditional geographies and unfamiliar backgrounds to access the capital, network, and resources that are critical to experiencing venture-backed success. issues if it was going to leave a meaningful mark on the industry. I founded 42 Venture Partners because I firmly believe that innovation also happens outside of Silicon Valley and intelligence and talent have no zip code. 42VP is a seed stage venture capital fund investing in technology that transforms the way we work and live. We are building a unique investment platform for the seed stage investing space that responds to the trends shaping our future over the next 10-20 years. Who is 42VP’s target audience? At its most fundamental level, the venture capital industry has a major flaw that will become increasingly obvious as our country continues to evolve. It has an insular nature and practices that are unsustainable because they prevent it from accessing the full creative potential throughout the country. The industry has established and adhered to have yielded transformative companies over the years. However, as the demographics and dynamics of our country shift towards a more inclusive and diverse society, we’ll see the next wave of consumer and enterprise tech companies will look very different from the venture-backed companies we’ve seen over the last several decades. Going forward, venture funds will have to determine how they can better connect with different types of founders, from unfamiliar geographies, that are tackling problems being faced by masses of people that do not share the same life experiences with the traditional investor. VC decisions have skewed towards specific types of companies while leaving behind many that are led by women and minorities. The industry has leaned heavily towards backing founders that fit a particular mold: Ivy League degree, young, white, nerdy, and male, hailing from Silicon Valley, New York, or Boston. In fact, most venture capitalists share these exact same qualities. I’m building 42 Venture Partners with the future in mind. We want to invest in companies wherever the innovation resides. Our target is seed stage technologies and products that transform industries, increase economic inclusion, and improve quality of life. We are not a diversity fund; rather we are a venture firm with an inclusive mindset. We believe combining these areas of focus will provide ourselves, and our investors, with unique opportunities to be part of a community of startups that will be game-changers of the future. We’ve built the foundation of 42VP to address some of the challenges facing VCs at-large. We believe there is untapped potential in “off-the-radar” geographies across the U.S. We want to be the catalytic capital for our startups and we’re comfortable being one of their earliest investors. One of the biggest challenges facing a new firm is how to quickly build a reputation in the startup ecosystem. When I started at Comcast Ventures, I didn’t have a blueprint or map for building a brand or expanding my network in venture capital; I had to figure it out on my own. I did this by making my skills and expertise available to the ecosystem to develop the network and portfolio I have today. The ultimate vision for 42VP is to build up a portfolio and community of founders that all support each other, and ultimately serve as our best references and deal scouts for future investments. In venture capital, you have to be relevant in the minds of founders and investors. Early in my tenure with the Catalyst Fund I noticed we would oftentimes be the last call by an investor looking to closeout a financing round. We were the last call because the fund was viewed as fill-in capital after the investor syndicate and terms were basically set in stone. That’s when I realized that I didn’t want to be an afterthought, but rather the entrepreneur and investor’s first call. Establishing a reputation worthy of that first call is where I focused my efforts while at Comcast Ventures and it’s one of the priorities I had when I started envisioning what 42VP would be. Making this a reality with a smaller fund requires efficiency and respectful of the entrepreneur’s journey. We believe in speed and action. We are trying to be quicker and more efficient than others so that we can begin supporting our companies sooner as they continue fundraising and business building. We are streamlining our own processes so that we can focus on the things that matter most for the companies we invest in. How is 42VP different from its key competitors? Venture firms based in California control the majority of venture capital allocated each year and they, in turn, invest primarily in California-based companies. The fact that there are other regions in the country that have not been targeted by these firms represents our biggest opportunity. There are many other cities with talent and technology that need the chance to showcase it. I look at any seed stage fund as a syndicating partner because we aren’t a big enough fund yet to dominate a financing round. In fact, that exactly what we don’t want to do. We want bring complimentary support and resources to a syndicate of investors in each company. We have chosen where we’ll invest very carefully and our sweet spot will be on the East Coast. While most VCs tend to look in major cities West to East, 42VP is looking to focus North to South. I’ve worked and/or lived in every major East Coast city and have built networks with the local founder and investor communities. We have positioned 42VP to bring to those geographies the network and support that they otherwise would not have. Many VCs say that they’re disrupting the landscape, but in reality, they’re not disrupting anything. They’re just making some adjustments in the margins. You can’t change anything by standing still. You have to challenge the status quo and fundamentally change the way something works. Investors need to look beyond the usual investment hubs in major cities and stereotypical attributes of entrepreneurs to see fresh talent and real innovation. And that is precisely what we’re doing. 42VP’s ideal investor is willing to place a bet on the promise that innovation can be found anywhere, not just in Silicon Valley. High net worth individuals and Family Offices have been the most receptive to this idea and have wanted to engage with us. Ideally, our investors are active advisors in helping to grow our portfolio by using their own networks and expertise. Although we don’t consider ourselves as an impact investment fund, we do think the impact of our companies will be felt in significant ways throughout society. Our team and portfolio will be more diverse than the typical venture fund and we believe our returns will be even better. And if that happens, we’ll let the impact will speak for itself. We have recently started fundraising for a $10M first fund. This fund will make initial investments of up to $250K in 20-25 early stage technology companies. The first $1M has been committed and includes investors that I have worked with successfully in the past. We will begin investing in June and are looking to complete fundraising by the summer’s end. Ideally, we hope to have no more than 20 LPs making investments of at least $100K. Our investment pipeline is growing and includes an artificial intelligence startup in Raleigh, NC, a delivery logistics company, and an online marketplace for general contractors and homeowners, both in the Northeast. We want to challenge the norms and the stereotypes about who can be an entrepreneur, where they come from, and what types of problems they solve. Our mission is reflected in the name of our firm. “42” refers to the jersey number of the legendary Jackie Robinson. We will have the “Jackie Robinson effect on tech,” proving once and for all that talent exists in abundance everywhere, hence our name choice. We have a singular focus: investing in the best talent and startups wherever they are. William Crowder is the Founding Partner of 42 Venture Partners, a seed stage venture capital fund investing in the technology that improves the way we work and live. His firm is based in New York and is an active investor in emerging tech hubs including Atlanta, Philadelphia, and Raleigh-Durham. Prior to founding 42VP, William led the Comcast Ventures Catalyst Fund, a $20 million fund designed to invest in entrepreneurs of color. While at Comcast Ventures the Catalyst Fund made over 70 investments and the portfolio includes several high growth companies such as Cuyana, AptDeco, Maker’s Row, Partpic (exited), and LiveNinja (exited). 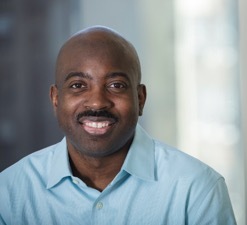 During his time at Comcast, William was a partner at Dreamit Ventures, a pre-seed venture firm and startup accelerator where he worked closely with over 100 upstart companies. Before becoming a professional investor, William founded a strategy and business development company that specialized in guiding traditional media companies into the digital world. 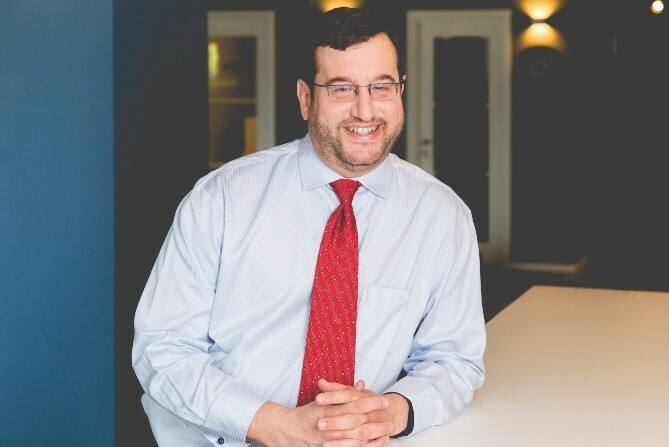 He formerly led strategic efforts at AOL, Thomson Reuters, and Radio One and was a strategy consultant at Mercer Management Consulting (now Oliver Wyman). William has been named one of the, “Great People Spearheading Change in Tech Investment” by Silicon Republic and has been recognized as an “Inclusive Entrepreneurship Champion” by the Case Foundation. William holds an M.B.A. from the Fuqua School of Business at Duke University. He also earned bachelor’s and master’s degrees in Computer Science from North Carolina State University, where he was a SAS scholar and IBM research fellow. He currently resides in the Philadelphia area and is an aspiring amateur photographer. To learn more information, please follow William at @WilliamCrowder, or reach out to him directly at William@42VP.com.